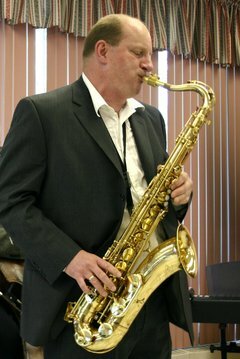 New JazzErie's new president is music educator and saxophonist Allen Zurcher, Ph.D.
Zurcher, who teaches as both Mercyhurst and Gannon Universities, is a preeminent saxophone presence on Erie's jazz scene, both with his own groups and as music. director and arranger with the Misery Bay Big Band. He also provides lessons to private students. middle school students in the Erie area. Now in its fifth year, the program is funded by Gannon University's Schuster Foundation. Steve Trohoske takes the lead as Performance Committee chair. The committee includes stalwarts Rob Hoff, best known to Erie jazz fans through his adventurous nightly radioshow on WQLN 91.3 FM, Romolo Chocolates owner (and bassist) Tony Stefanelli, no slouch in the talent booking department himself, and saxophonist Ken Gamble. Rich is an engineer with Heatron here in Erie. He has been a Board Member for 5 years and Treasurer for 3 years. 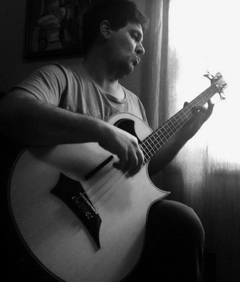 Rich is a dedicated Jazz Fan and is the spark plug for many of the events for JazzErie.